Many homeowners prefer window blinds in Weston, FL for their window coverings. 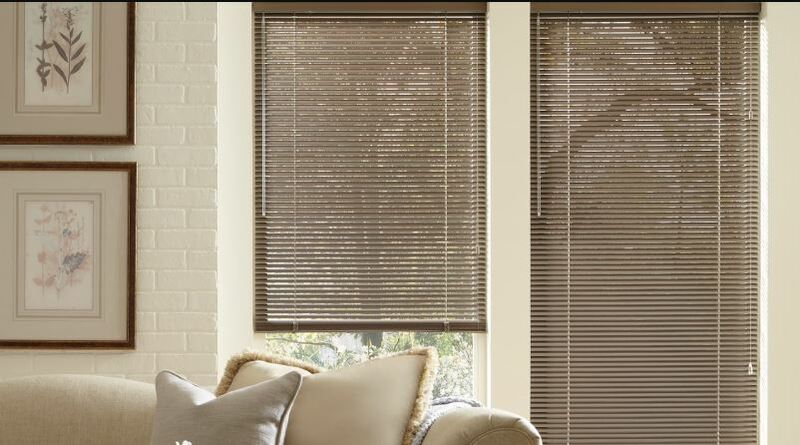 They are so versatile, allowing you to adjust the slats for light control or pull the blinds completely out of the way for a clear view outside. But there is one main problem with window blinds—the light that comes in on the sides. These light gaps exist because blinds cannot fit perfectly inside the window frame. Too tight and they will not function properly. Fortunately, there is a solution. You can install tracks on the sides of your window frame to block the gaps while still allowing window blinds to slide up and down. These are L-shaped pieces of plastic that can fit behind or in front of your window blinds. Tracks or light blockers are common additions in hotel rooms where complete darkness is often desired. These light blockers work with most windows. They are not good for windows with less than an inch of depth or windows that tilt inward. Otherwise, you should be ok. They also work with most window treatments like roller shades, cellular shades, sheer shades, roman shades, and window blinds. They are not as effective for solar shades, light filtering shades, and woven wood shades. And they are not compatible with plantation shutters, vertical blinds, sliding panel shades, and draperies. Today light blockers come in a variety of widths and lengths you can trim to fit the window opening. You can easily cut them down to size with sturdy scissors or a saw. And installation is easy with the sticky backing. Simply peel off the covering and adhere it in place. For maximum coverage, you want to install the blocker as close to your window treatment as possible, without obstructing it. But before permanently adhering the light blocker to the frame you want to test out different placements to make sure you get the best coverage. Placing the blockers behind the window treatment allows you to conceal them, but a little bit of light might still leak through. Placing the blockers in front of the window treatment will give you better coverage, but it also makes blockers more noticeable. The other good news is when you decide to get light blockers for your windows there are several color options to choose from. You can coordinate these pieces to match your window frame or window treatments. This helps the tracks blend in with your home décor so they are not so apparent. Are you ready to upgrade your window blinds in Weston, FL and get full coverage on your windows? Contact Open House Interiors for help finding the right solutions for your home. We can better fit your window treatments for better coverage or we can help you find alternative solutions. There are so many options to choose from so you are sure to find something that works best for your home. Call (954) 533-7445 to schedule a consultation or visit our state of the art showroom located at 4312 North Federal Hwy., Fort Lauderdale, FL 33308.